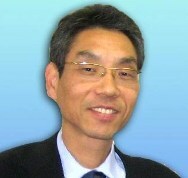 Mr. Yoda is, a certified nutritionist, has vast experienced in health related industry in Japan. He also studied nutrition in the U.S. He currently sits on the board of director of 5 different companies and advises on wellness and lifestyle management. His latest study focuses on Moringa and applying to general health. The secret to health – both with food and health products - is to obtain various nutrients in a form as organic as possible. Moringa is a rare herb plant that can meet such conditions. Moringa, which grows in tropical areas such asThailand,India and Philippines, contains an unbelievable amount of nutrients in a single leaf. For example, Vitamin A: 4 times more than a carrot; Vitamin C: 7 times more than an orange; Calcium: 4 times more than a glass of milk; potassium: 3 times more than a banana; protein: 2 times more than a cup of yogurt; and contains other nutrients such as magnesium, amino acids, Vitamins B and E, Gamma –amino butyric acid, Calcium, Zinc, and etc . It is no wonder Moringa has been called the “Miracle Tree". Especially, there is an excellent variety and balance of ingredients found in other daily food. For example, one small leaf contains four times the Vitamin A of a carrot, seven times the Vitamin C of an orange, four times the calcium of milk, three times the potassium of a banana, twice as much protein as yogurt, as well as a wide range of minerals and other elements; Vitamin B group (B1, B2, B3) Chromium, Copper, Magnesium, Manganese, Phosphorus, Iron, Zinc and more. It can be said that Moringa contains well-balanced essential amino acids which are rate in plants and which are obtained from foods, therefore Moringa has been highly rated as a perfect food. In addition to these facts, Moringa contains one of the essential amino acids, histigine that usually contained in fish and thought to be necessary for child growth. controlling the reduction of hyaluron acid.